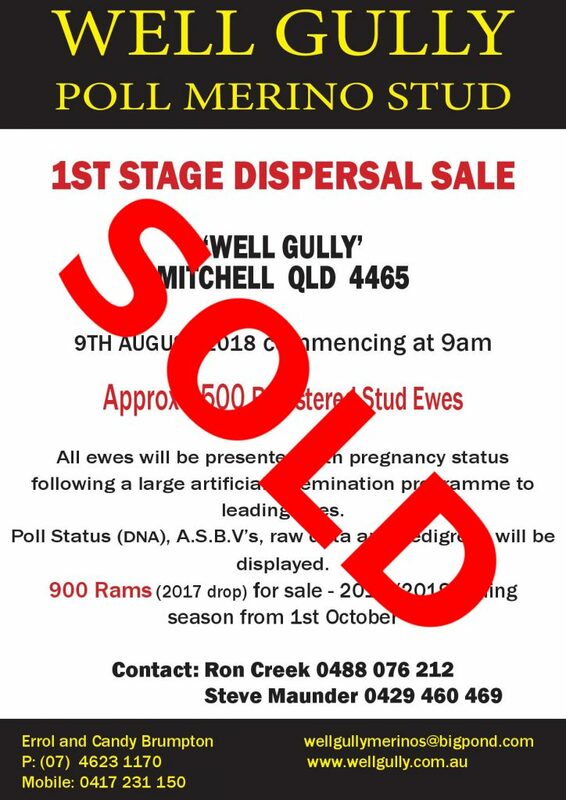 Well Gully Poll Merino Stud – producing an all-purpose animal suited to harsh Australian conditions – a mules-free, quick maturing wool and meat sheep exhibiting high fertility, exceptional lambing percentages, outstanding conversion ratios with 18 micron wool – through data recording, extensive utilisation of Australian Sheep Breeding Values (ASBVs) and a program of genetic selection based on traits not tradition. 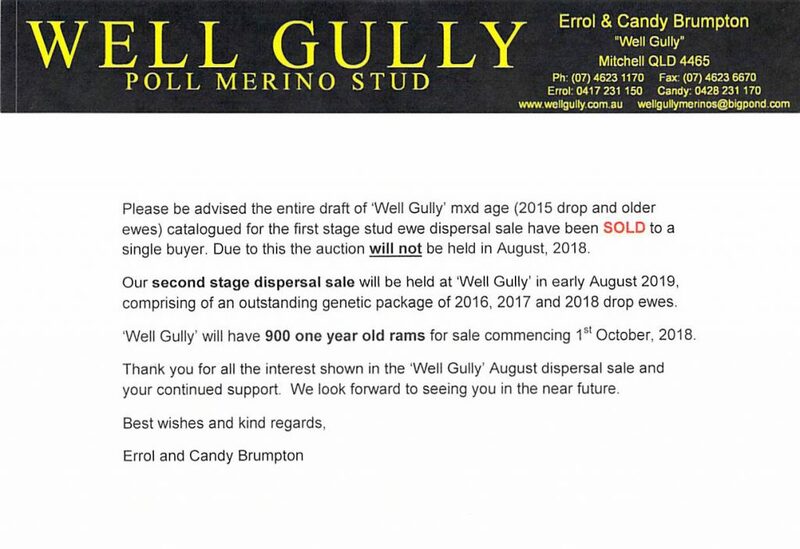 Stud principals Errol and Candy Brumpton invite you to browse through the Well Gully site and learn more about how Well Gully genetics can help your flock. Our sheep are bred to perform in extreme summer heat and humidity, as well as winter cold and frosts. We average 21 inches of rainfall annually, two thirds of which falls in the period from September through to March. At Well Gully, we are focused on QUALITY MERINO WOOL PRODUCTION in sub-tropical rangeland environment and creating opportunities for commercial clients to become more profitable. Our sheep combine excellent CONSTITUTION with OUTSTANDING wool CHARACTER and UNIFORMITY, as well as the NOURISHMENT to cope with the Queensland summer rain and dust. Unlike many of our Southern counterparts, our breeding flock is constantly challenged for fleece rot and tip weathering in the tough Queensland environment.